They're cheap, they're colourful, they look kind of fun to use - and they claim to tone up your core just by sitting on them. So why wouldn't you want to swap your office chair for a fitness ball? While we’re huge advocates of bringing healthy living regimes into the workplace, there is one particular trend we’re reluctant to support. That’s the use of fitness balls (also known as Swiss, yoga, or Pilates balls) as regular-use office chairs. Granted, these balls are excellent fitness tools for working the core. But there’s a big step between a dedicated core work-out, and all-day use of these balls. A gym ball is an effective piece of exercise equipment because it provides an unstable surface that constantly requires your muscles to work to keep you upright. This is great for short periods of time but most people don’t have the core strength to keep this up for a full working day. Commonly people who use gym balls as chairs compensate for muscle fatigue by tucking their feet under the ball to keep it stable, which defeats the point of having the ball in the first place. Research into this area has shown that prolonged use of gym balls does not significantly affect the magnitudes of muscle activation, spine posture, spine loads, or overall spine stability and actually increases discomfort — probably due to decreased support for the buttocks and thighs. 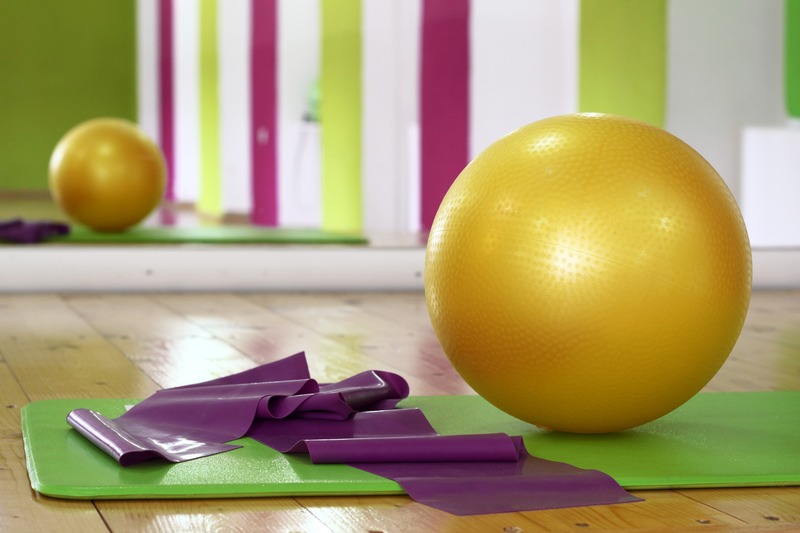 In addition to these problems, gym balls don’t actually meet DSE regulations. These call for a stable, adjustable chair with back support. Most offices have fixed-height desks so there is little chance that the ball will be the correct height for the person to achieve a good arm position whilst working at their desk. If a gym ball is supplied for the user, there must be a sound reason for this (such as a recommendation from a health professional) — and a risk assessment must be carried out by the employer to make sure they can work in a suitable position and without creating other risks in the area. Naturally, getting on and off the ball will increase the risk due to instability. Especially important is that the users arms are in the correct position. If not, the desk height will need to be adjusted. In light of all of this, we do not generally recommend fitness balls as computer chairs as general practice. Make sure the ball is the correct size for the individual - the health professional recommending it should be able to advise on this. The ball should be robust and have ‘anti-burst’ technology. A suitable operators chair should also be available and it is advised that it’s used regularly throughout the day. The sentiment behind using fitness balls as chairs is great. Keeping more active at work is not only good for overall health and fitness, it's also great for concentration, mental health and productivity - all important factors when it comes to a business's success. 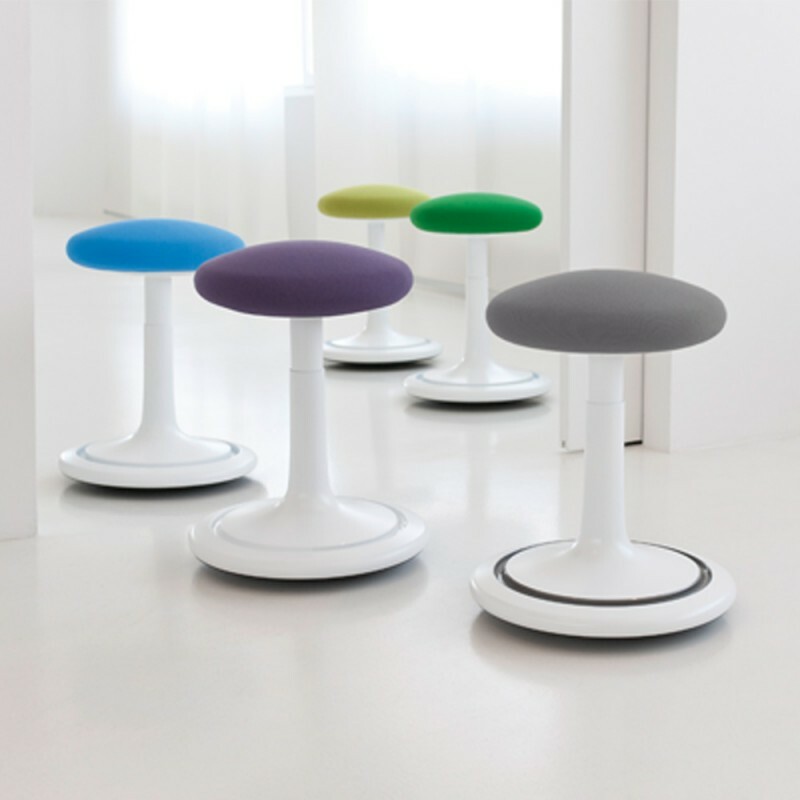 A fun stool for occasional use throughout the day. The ONGO's curved base encourages constant movement. A ball built into a circular track in the base provides acoustic feedback on every movement so you can hear when you're doing it right. 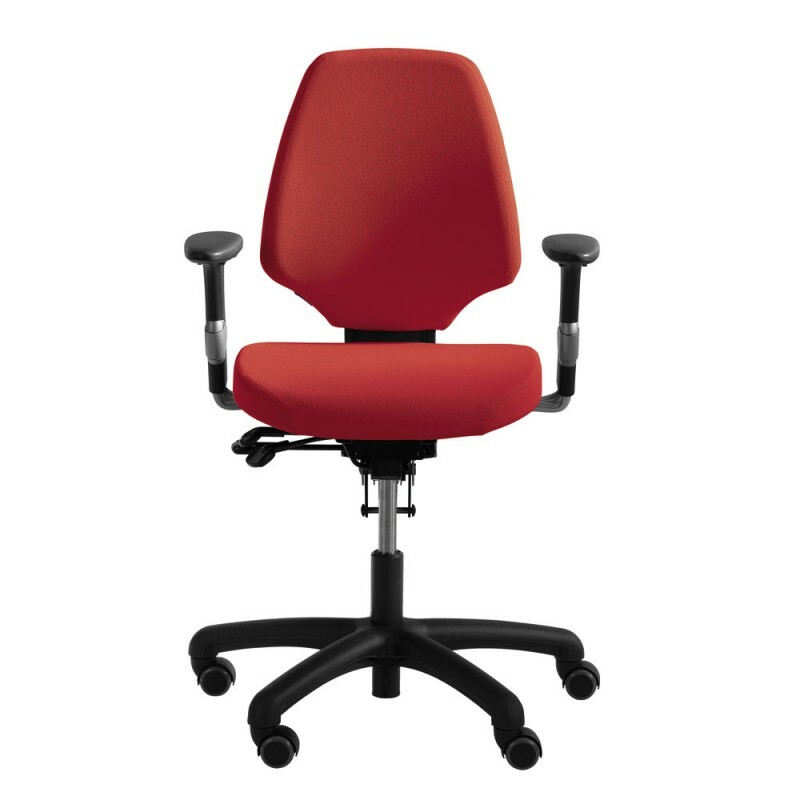 As the name suggests, the Activ range from RH chairs is designed for increased movement. These chairs - which come in four different sizes, move with your body, giving the right support to your height and weight to relieve pressure points.